Priscilla and her neighbors kept their sense of humor, writing messages like "Priced 2 Sell" on their destroyed homes. 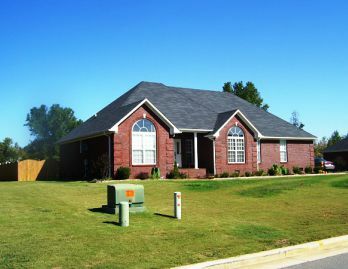 The Camden Court house was the first home Priscilla and Jeff worked on together. It took two years to build. Priscilla lost most of her Brighton pieces in the tornado, but still has her Deco Lace set and Go Go Messenger Bag. The EF-5 twister that tore through Limestone County was part of the largest tornado outbreak ever recorded. 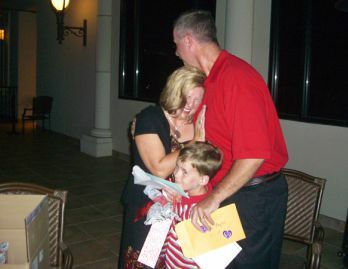 Priscilla was overwhelmed by the generosity of friends, who showered the Boyles with gifts at a "survival" party. On April 27, 2011, Priscilla Boyles and her son Sam were standing on their back porch, watching lightning to the distant north. It wasn’t windy or even raining as her husband, Jeff, tried to take photographs of the lightning on his cell phone. Suddenly their older son Jake, then 19, looked south and started yelling. From his vantage point, he could see debris coming out of the clouds. In mere moments, the wind turned violent, and that debris started hitting the house. The Boyles were in the path of a tornado. This twister wasn't just any tornado. 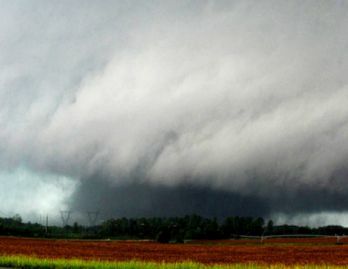 It was part of the largest tornado outbreak ever recorded. It ranked EF-5 – the strongest category possible – and killed 239 people in Alabama, the Boyles' home state. Priscilla couldn't know any of these details when she and her family rushed inside the house. They heard the windows break behind them as they dashed into the laundry room with their dog. As they lied on top of each other with the smallest – then five-year-old Sam -- on the bottom, they felt the house tremble and crack apart. The noise was deafening. Fortunately, the laundry room withstood the assault. After the tornado passed, they emerged to find the rest of their house destroyed. 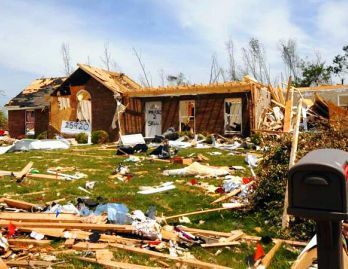 Apart from Sam’s room, every other space was ripped open and getting soaked, as rain continued to pelt the area and more tornadoes formed. In all, 292 twisters were reported in 16 states that day. In every direction as far as the Boyles could see, their tornado had turned their Limestone County neighborhood into piles of wood, broken glass, tossed vehicles and overturned furniture. Sam inspired everyone with his smile. This was already a difficult time for Priscilla and Jeff. His mother had been diagnosed with terminal leukemia six weeks earlier. 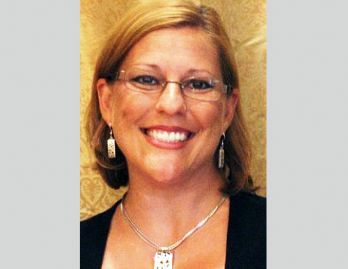 The tornado knocked out power at her home in Athens, Alabama, and she died six days later. The previous day, Priscilla had borrowed her dad's car to run errands with Sam when she was rear-ended. The car was totaled, but Priscilla and Sam escaped with only minor injuries. Instead of succumbing to all this adversity, the Boyles took their absurd circumstances in stride. While stiff and sore from the accident, Priscilla prepared for a funeral and picked through their destroyed home, looking for things to salvage. Jake lived without underwear, while Sam lived without socks, as they stayed in a motel room for three weeks. In the six months since then, the Boyles have been overwhelmed and humbled by the kindness of family, friends and complete strangers. Neighbors helped neighbors, bringing in trucks, trailers, working gloves, food and water. Churches sent people to help pick up debris and pile it on the side of the road. Friends gave money and gift cards for essentials, so Sam and Jake got new socks and underwear. Priscilla's dad wrote a blank check to a new furniture store when the previous one took the Boyles' money, never delivered their furniture, and then declared bankruptcy. Jeff's employer allowed him to take a leave of absence as the stress of the disaster and of his mother's death started affecting his health.